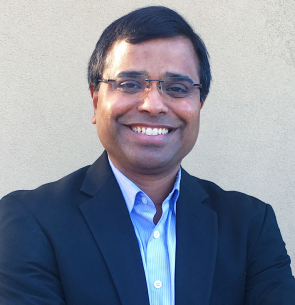 Dr. Ravi Gundlapalli is the Founder and CEO of MentorCloud, a cloud-based peer-to-peer learning platform for enterprises and professional associations. Ravi is a globally recognized thought leader on mentoring, and has been featured in Forbes, HBR, Forbes India, The Hindu, and Knowledge@Wharton. Ravi was an invited speaker at the 8th World Demographic Forum in Switzerland, and also delivered a plenary talk on mentoring in Washington DC, at the invitation of former US Secretary of State Hillary Clinton. Before MentorCloud, Ravi led supply chain solutions for Boeing 787 Dreamliner, Raytheon, Hitachi Global Storage. Ravi actively mentors entrepreneurs and professionals in US and India, and is also a mentor at Founder Institute in Silicon Valley, USA. Ravi’s vision is to connect 100 million mentors and mentees by 2020. Ravi has a Ph.D. from the University of Michigan, M.S. from Florida Atlantic University, and B. Tech. from Indian Institute of Technology, Chennai. In these times of change at an unprecedented speed, continuous learning and skilling of your workforce is absolutely essential to remain competitive. Social learning and mentoring bring the power of context to learning, and accelerate positive change.